In the Bible, we discover that faith and fear are not experienced primarily as emotions. Faith and fear, instead, are experienced most often through words. Whenever great faith is shown, it’s nearly always revealed through what people say. For example, the centurion comes to Jesus, asks him to heal his servant, and Jesus says, “I’ll come right away.” The centurion responds saying, “No, Lord. Just say it and he’ll be healed.” “I’ve never seen greater faith than this,” Jesus says. Based solely on what the centurion said with his words, Jesus thereby heals the servant. In another story, Jesus wants to heal a little girl, but the people gathered nearby doubt and mock him with their words. Jesus tells these people of little faith to leave the room so that he can heal the girl, which he does with only the faithful by his side. The blessings and cursings in our lives are hinged on what we say about ourselves, what we say to others, and how we respond with our words when God wants to give us good things. Prayer: Dear Lord, I have faith in you. I know my words speak loudly about my faith, so I will speak positively knowing you are in control. Amen. Reflection: When has your positive attitude of faith helped to change a negative situation into a blessing? What does it mean to take a “leap of faith”? The expression has classically been used to describe a Christian’s belief in God and the confidence in what they cannot see. But is that explanation really good enough? Does it truly capture the fear, the uncertainty, the agonizing conflict of thoughts and emotions a person experiences in their quest to know God? To those on the outside, it would seem even Christians don’t understand the popular term. I have had mid-air collisions with the existence of God, His goodness, His kindness, His caring presence, the Church, Tradition, Scripture, forgiveness, and faith itself (to mention only a few). And with every encounter, though preceded by grace, there is some moment of the leap. The leap itself is, for me, sheer terror. I dread the existence of God at least as much as I dreaded the surface of the water itself. It may sound strange to dread the existence of God, except when you consider that His existence means the possible return to the diving board on a regular basis. Practice has never made it any easier. Faith asks a great deal of the believer. Like a diving board, it sometimes leads us to the edge of insanity and asks us to take one more step. It is also why many choose not to pursue God, since they refuse to believe in something they see as absent. To the secular world, faith and ignorance can often go hand in hand. However, blogger Jennifer Maggio asserts that this is not true. The very foundation of Christianity is faith. It takes great faith to believe God, that we’ve never seen, sent his son, Jesus, to die on a cross for us. Our faith is what gives us the assurance that even though we cannot physically see God, he is with us. Our faith gives us the strength to push through the difficult times when it seems that everything on earth is caving down around us. 10 Ways the Word of Faith Movement Went Wrong. 1. They preach a “rights centered” gospel rather then a “stewardship centered” gospel. In the creatures’ knowing, esteeming, loving, rejoicing in and praising God, the glory of God is both exhibited and acknowledged; His fullness is received and returned. 1John Piper in the introduction of Jonathan Edwards on Beauty by Owen Strachan and Douglas Sweeney (Chicago: Moody, 2010), 15-17. The word translated “stagger” from the Greek means to “doubt or hesitate.” Abraham did not slide back and forth between faith and fear—two mutually exclusive expectations. You cannot have faith and fear in the same heart. One drives out the other. You do not have to rebuke fear or overcome fear. Have faith in God and fear not. Abraham was fully persuaded. Some Christians are not fully persuaded about anything—that their spouse is the right one, that their church is the right one, or their choice for lunch is the right one. Stop wading in the shallow flatlands of weak spiritual experience and launch out into the deep. Be fully persuaded that the God you serve is able to perform what He has promised! You will protect me from all harm. One Word Not in God’s Dictionary. What sort of faith does God reward? “I have come to realize that God prizes and rewards and seeks outrageous, ridiculous, absurd faith. Praying and asking God for anything is an exercise of such faith. Moses, Abraham, Joseph, Daniel, Job, the 11 Disciples, had faith that was outrageous. They followed orders that were insane, humanly speaking. They prayed and trusted God for help in situations which were hopeless, humanly speaking. “Think about it: raising your staff over the Red Sea to make it part so that the Israelites can pass thru on dry land. Or Joshua marching around the walls of Jericho. It’s crazy. “As I was thinking of it, that is exactly the kind of faith we are called upon to exercise in forgiving those who have hurt us. Logically, it shouldn’t work. Praying and asking God to bless those who have hurt us is, from a human perspective, absurd. Praying and asking God to help us forgive someone who has hurt us is outrageous, humanly speaking. From a human perspective, it is crazy to trust someone you have never met/seen in person and who’s voice you have never heard in an audible way, to deal with those who hurt you. Forgiveness is crazy. It is the outworking of outrageous, ridiculous, absurd, insane faith. (That is one of the reasons why many people do not take forgiveness seriously, even within the church.) And yet, that is EXACTLY the kind of faith that God prizes and rewards: ridiculous, outrageous, absurd, insane, unrealistic faith. I especially like that last sentence. We are “realistic” and God is not. Don’t pray today for a “realistic” faith. Pray for a ridiculous, outrageous, absurd, insane, unrealistic faith. In other words, pray for faith like Abraham, Moses, Joshua, David and Daniel. 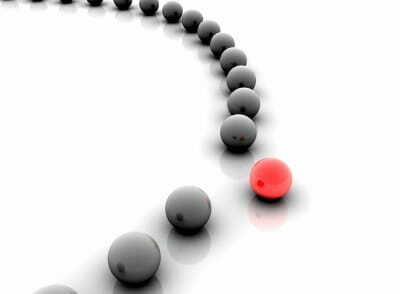 Would you like to stand out from the crowd today? Cut the word “realistic” out of your dictionary. You never know what God will do when you stop limiting him to what you think he can do.